2114 The Sol loyal systems once again prevailed over the Farstars. 2125 The Free Trade League declared the Farstar systems as an independent sovereign government, the ICC is formed. 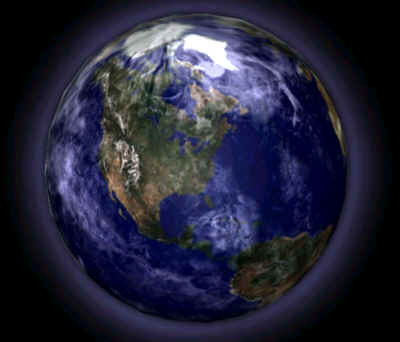 millennium on the planet Earth. Events unfolding at that time on the Mother Planet laid the foundations for the current socio-economic situation across the known galaxy. Most historians agree that the year 2000 was the beginning of the end of the national political system on Earth and the beginning of the global economic era. The result of free trade agreements between all nations led to world spanning corporations wielding more power than any individual government could muster. The national governments found that the multinational corporations had tied their hands and in order to survive they played along with whatever corporate interests were strongest in their region. After the general restructuring measures were enacted by the Global Trade Organization in 2007 the establishment of worldwide economic zoning further undermined the importance of national governments. Under zoning mandated by the GTO local areas were given a productivity rating that had more of an impact on the zoned areas than their own national governments. From this point on national governments were no more than elaborate stages that the global corporations used to publicly communicate. Meanwhile space exploration was booming on two fronts, the first was heavy industry, the second was tourism. These went hand in hand at the Luna Station. Industrial development was spurred by the inability to extract resources inexpensively from the Earth itself any longer. Large concentrations of valuable resources had already been exploited for centuries and the easy pickings were gone. The methods used to extract valuable ores and materials from Earth became more expensive as the materials became harder to find. In 2007 several corporations got together and put their muscle behind the final development of the space station that was begun by the national governments in 1999. They altered the plans for the station to include several experimental manufacturing modules along with a prototype refinery. On Luna small scale mining operations were begun. The companies now faced off against the problem of making travel to and from the space station and Luna less expensive. For over twenty years all materials had been lifted to the station from the old NASA shuttles. It was agreed by all involved that the shuttles were wasteful and small, something else was needed and the corporations shifted into gear. Soon Overhouse Enterprises came up with the breakthrough, their first ion-emitting plasma thruster. This engine was fitted into a modified NASA shuttle built with reinforced ceramic alloys developed at the station refinery and the results were spectacular, all the thrust needed could be achieved at a relatively inexpensive price. Space-tourism had been going on to a small degree since 2003, a handful of companies booked passage on NASA shuttles to the space station for those wealthy enough to pay the fee for a two week excursion of a lifetime. The incredibly high price tag for these vacations was the only thing making space-tourism a profitable business at the time. When Overhouse came out with the 700 series thrusters in 2011 the floodgates of tourism were opened wide, approximately 25% of the Earth's population could now afford at least one space vacation in their lifetimes. Larger tourist pods were built onto and around the station. Plans were also drawn up to build a small tourist colony on the moon near the mining outposts already operational there. Construction began on the Luna Dome in 2014. Luna Dome was completed in 2019 and was a huge success. Many hotel chains, restaurants, tour guides, and casinos were built into Luna dome along with the specialized industries needed to keep the dome habitable. A small village was established for the permanent employees of Luna Dome and they unwittingly became the first true space colonists. Many of the miners working at the now expansive mining stations across Luna also opted to stay at Luna dome on a full time basis visiting Earth only for vacations. Luna dome became full and several more domes were soon built. The success of Luna Dome inspired the corporations to expand even further. In 2015 the DMP (Deep Mars Probe) returned to Earth with its findings and a manned expedition was undertaken. Unlike previous space expeditions this one was capable of being put together quickly, and with the Overhouse thrusters the trip could be made to Mars in a record four days. The ship built at the new orbital construction station was capable of carrying a large crew and a huge payload. Due to the fact that the probe indicated fair quantities of usable resources the payload included a small mining platform and prefab temporary housing modules in case it was deemed feasible to keep a crew onsite. The expedition was a success, mining proved affordable, and with the Overhouse thrusters a new operation could be set up quickly. Tourism was quick to follow the mining operations and in only a few years a substantial colony was in place. At this time labor became a problem for the Lunar and Martian colonies as only those with enough cash to pay for the still somewhat expensive ticket could get to the colonies. In order to deal with the overpopulation crises on Earth and get labor to the colonies the Galactic Colonization Act was passed; this act gave free passage to all those who agreed to become permanent citizens of an off-Earth colony. Quickly millions who had suffered from the establishment of worldwide economic zoning were flocking to the Lunar and Martian colonies. In 2022 the Martian Terraforming project was begun and another call for settlers was issued. By 2024 the populations of the Moon and Mars had reached a combined total of 700 Million people with 3/5ths of them living on Mars. Mars now had her own orbital refineries and was building what was then the systems largest shipyard. During this juncture in history it is important to take a close look at what the conditions on Mars were like and to examine what her relationship was concerning Earth, for if these two factors had not been as they were when Tachyon-jump capabilities were discovered, things may have turned out quite differently in the known galaxy at the present. First we must remember that the majority of the population on Mars consisted of those who were unhappy with the global economic system on Earth, in fact they were refugees escaping lives of forced labor and continual poverty enforced by the policies of the Earth corporations. This meant that the population of Mars already had deep-seated resentments against the Earth system. Also we must take into consideration the status of the corporations themselves. Fueled by the prospect of lucrative profits the GTO agreed to consider Luna and Mars as undefined trade zones outside of standard Earth economic policies until such a time as a Galactic Trade Board could be formed. The main purpose in granting Mars and Luna undefined status was so that the "foot in the door" corporations could expand without check and make as much profit as possible before the latecomers got organized enough to join in the feeding frenzy. What the Earth corporations hadn't counted on was independent operations starting up on Mars. The Martian independents had one huge advantage over the Earth corporations in that they could get labor. No Martian would work for an Earth based company as long as there was a Martian company that offered them the same job. In 2024 Mars had everything that Earth had with the exception of a breathable atmosphere, but that was coming fast. The Martians were suffering under the heavy burden of Earth-corporation policies and taxes and were fully aware that they had no need to endure them. It became apparent even to the Earth based corporations that Earth could no longer dictate terms, as she had no way to enforce them. Embargo's were meaningless as the Lunar and Martian colonies were self sufficient, and military recourse was impossible, as the space-shipyards were located at Luna and Mars respectively. Earth found herself in a position of isolation and agreed to meet with newly appointed Martian officials in order to work out a new agreement with the colonies. The outcome of the meetings between the Martian colonial government and the Earth's newly appointed Galactic Coordination Committee was the independence of Luna and Mars as their own sovereign worlds, and the formation of a Galactic governing body to be known as the United Galactics Trade Organization (UGTO). The UGTO was formed to look out for the well being of all the member planets and was made up of representatives chosen from all of the planets. Tensions ran high between Earth and Mars for years and although there were quite a few "incidents, no conflicts broke out. "Olympus Mons on Mars was soon chosen as the site for the UGTOs new headquarters and campus, and Earth was no longer the prime focus of human activity. The first undertaking of the UGTO was the complete survey, exploration, and colonization of the Sol system. The undertaking took only seven years and the results were less spectacular than had been expected. Mercury had some valuable and rare heavy metals and a mining operation was set up there. Venus was deemed too inhospitable for any practical uses. The asteroid belt contained useful ores and extraction stations were soon in place. Skimming and distilling operations were set up around Jupiter and Saturn in order to extract rare gasses. Other than that little of use was found in the home system. The initial excitement fostered by the success of the Lunar and Martian operations waned quickly when the rest of the system turned out to be so barren. Interest soon shifted to the Tachyon-system experiments that had been taking place on Gamma station. In 2049 the UGTO gave the go ahead to project Centauri, this was the first interstellar mission for humanity. Three ships were built for the mission and outfitted with the tachyon drive systems, the Steadfast, the Welcomer, and the Farseer. These ships were massive; they included their own small mining, extracting, and shipbuilding facilities to be used in creating a fleet of exploratory vessels upon arrival at the Centauri system. New sensor, transmission, and course plotting technology were first put to the test with these ships. The voyage was long by today's standards, taking seven months, and not without mishap. There was a malfunction in what historians agree was the Farseers sensor system. As the ship was approaching what is now the border between sectors 0/0 and 1/0, it failed to avoid a debris field while traveling at hyper-light speeds; there were no survivors. The Steadfast and Welcomer made the trip with only negligible problems. Now project Centauri was in full swing. The Centauri project turned out to be less of a success than hoped for. The surviving ships slowed at the edges of the Centauri trinary system and began to scan; the scan showed only two gas giants and their moons. Most of the matter in the area had gone into the three stars. The only planetary body of any value in the system was a small moon around the inner gas giant, it contained enough metals for the mining and refining equipment to be set up. It was decided that the establishment of a permanent starbase and science station in the Centauri system would be feasible but that any further development was pointless. Centauri would be used as a stepping stone for further exploration but would never be highly developed by humans. The next system to be explored was the Barnard system. This system was just about as far from Centauri as Centauri was from Sol. A newer and faster tachyon drive system had been developed for the Barnard expedition so things went much faster than with the exploration of Centauri. It took two years to build and outfit the ships, while the trip itself only took two months. Arrival took place in the year 2054. Barnard was found to be a small system, however one of the planets in the system was very valuable, Barnard I contained heavy metals of the type found only on Mercury back in Sol, however in quantities that astounded the early explorers. A mining colony was soon founded and Barnard joined the UGTO. 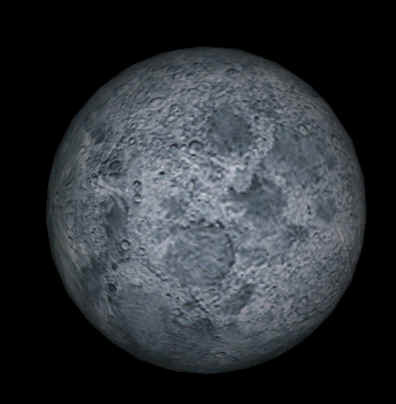 Ross 154 was the next system to be explored, only one moon was found to contain resources worth extracting. After Ross 154 the BD 59+1519 system was explored, it was found to contain an asteroid belt and two moons rich in ore. Mining colonies were set up in 2059 in the BD 59 system. Exploration now turned in a different direction and the Wolf 359 system was explored. Finally the exploration of space revealed one of the rare jewels of the cosmos, a terran type planet. Actually it was a moon and not a planet, orbiting a gas giant and drawing heat and energy from the giant as well as the feeble red sun. The atmosphere was found to be breathable by humans although it contained a high level of contaminants. Gravity was only slightly higher than on Earth and Mars. Colonization began immediately and in 2067 Ocotat joined the UGTO. The Ross 154 system was next explored and once again a terran type planet was found. Although Ross 3 is somewhat hostile to human life it has still been heavily colonized. Scientists led the way on the next mission, analyzing data from the previous missions and using it to predict the nearest system that was most likely to have useful resources in abundance, they picked the BD4344 binary system bypassing the Ross148 system. At the missions arrival the scientist's predictions were proved correct. The BD4344 system was found to have five planets containing useful resources in sufficient quantities. Ross 148 was later explored and found to contain nothing of great interest. The next system developed was Luyten 789, notable for the ice planet Nome. Soon after CD36 was explored and another terran type planet was found, Exathra. Exathra soon became host to a large colony of settlers. Naturally the colony on CD36 became the base for all operations in the area. Human influence at this point in history spans across 11 solar systems, 10 of these systems have a permanent settlement of some kind, and there were a total of four terran-class planets settled. At this point colonization slowed to a crawl, as there wasn't the population base to support it. Activities focused on development within the systems already colonized. This was a relatively peaceful period of prosperity and free trade between systems, however in the depths of the Great Void trouble was stirring in the form of pirates. It was easy for anyone to hide in the vast emptiness of the Void and several pirate clans sprung up. The pirates took advantage of ships traveling from the Systems near Sol to the systems near CD36, knocking them out of hyperspace in order to pillage. It became common practice to send armed guardships out with any vessel traveling through the Void. Also during this period small independent factions began to colonize systems outside of the UGTO sphere of control, trading security for greater freedom. Around the year 2077 things began to change, if one looks to their starcharts it is easy to see how things came to pass. The CD36 system and its neighbors controlled far more resource rich planets than the systems closer to Sol. The systems closer to Sol however had more power within the UGTO bureaucracy. The situation brewing was similar in many ways to the Earth/Mars conflict in the 2020's, the main difference being that of scale. Unfortunately in this situation the Sol loyal systems were more stubborn than Earth had been with Mars. Conflict ensued, war was never declared yet many small battles were fought between the Sol loyal systems and those allied with the CD36 system. This became known as the First Stellar Conflict. Peace was finally enforced through a large occupational police fleet that was dispatched to patrol the CD36 loyal systems. At this time the CD36 loyal systems became known as the Farstars. Although peace had been achieved through superior firepower the causes that generated the conflict had not been dealt with. The Farstar systems were still producing most of the materials being used by the UGTO while not having much say in the senate councils. The heavy-handed tactics of the occupational police further aggravated the people of the Farstars. In 2094 a group calling themselves the Stellar Freedom Alliance began covert operations against the police fleet in the Farstars. The government then responded by putting into effect a decree stating that all stellar shipyards were to be shut down in the Farstar systems. This created uproar and all of the senators from the Farstar systems resigned from their posts. Soon conflict ensued, this time more bloody and prolonged, this became known as the Second Stellar Conflict. During the Second Stellar Conflict the independent factions flourished by supplying both sides with the resources they needed. Finally in 2114 the Sol loyal systems once again prevailed over the Farstars due to their superior firepower. It must be remembered that even though the Farstars produced most of the resources in the galaxy, they had been forced to ship the majority of what they produced to the near-Sol systems. The Farstar Management Operation was set up by the UGTO to deal with matters local to the Farstars after the Second Stellar Conflict. Remnants of the Stellar Freedom Alliance responded by setting up the Free Trade League. The Free Trade League worked with the UGTO on the surface but secretly operated as a local congress. For almost thirty years the Free Trade League slowly built up a following and stockpiled resources on hidden bases throughout the Farstar systems. In 2125 the Free Trade League formally declared the Farstar systems as an independent sovereign government henceforth to be known as the Consolidated Confederate Marine Corp and revolution was begun. A series of highly organized surprise attacks drove the UGTO forces from ICC space in such a decisive way that the UGTO had no thought of retaliation at the time. What followed has been a period of 15 years with little contact between the ICC and the UGTO in which both sides are busy rebuilding themselves for the all out war to come. It is believed that hostilities may flare up at any moment now, as both sides seem to have amassed fleets and strengthened their positions sufficiently. The entire galaxy sits fearfully on the verge of war. In June 2070 the initial design for the first M-049 version of the Benchford Constellation was brought forward. This was to be a completely different starliner than models preceding her. At the time, the most successful starliners in service were the JDC 30 from Da Trang and the BJU 52 from Allied. Both models, although revolutionary at their time, were relatively short-range starliners that could not give passenger ships a run for their money in Great Void crossings. What was needed was a larger craft that was capable of crossing the Void at a high rate of speed and with a comfort level that would draw people away from the old stately large engine ships. What was envisioned was a three-engine transport, capable of 300gu. This transport should be shielded to allow the ship to fly in the relative safety of higher tachyon frequencies (beyond the effect of the regular storms of the Great Void) without the need for cabin pressure dumps or extreme contaminant shielding. The Constellation would fly at frequencies that would cause lesser vessels to tear themselves apart within a few minutes. What was designed was truly beautiful. The starship was a phenomenal 95gu long. The hull was inspired by another Benchford starship, the FP-38. Other touches included a three-engine tail housing, which was used to give the Constellation access to existing shipyards, which would have been too small if the Constellation had retained a standard single above mounted engine. Power would be provided by Hergstrom-Overhouse Pulsar II's, that eventually would generate 2,500 bmhp per engine. Construction of the first model of the Constellation began in 2073. Unfortunately, the First Stellar Conflict put a hold on any production of the Constellation for civilian use. 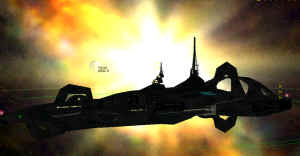 The model was to be converted for military use and the first model, the MC-69, was delivered to the UGTO in April of 2143. A total of 180 MC-69s were produced for the UGTO. Although greatly appreciated by the people who flew in her (especially when the flight included a trip over the stormy Great Void), the ship's high cost in relation to the cheaper LC-47 (ADC-23) and its need for baked alloy, reinforced hanger mounts, limited its total use in FSC. It wasn't until after the conflict that the merits of the airframe became apparent. The end of the Second Stellar Conflict meant that there were literally thousands of shipyards all across the galaxy that could handle large, multiengine starships, also there was an excess of pilots with thousands of hours behind three-engine starships. People were ready to travel all over the galaxy and large engine ships were still relatively slow methods of getting there. Benchford easily converted the M-049 spaceframe, initially selling military models with minimal modifications, then updating the model to the M-649 and the M-0749. Each subsequent model superceded the previous with improved range, speed, and comfort. The culmination of the design was in the M1049 and M-1649 models, known as Super Constellation and Mega-Starliner, respectively. These Constellations were stretched an extra 18.4 gu by the use of fuselage plugs in the fore portions of the ship. Engine power increased to 3205 bmhp. The 1049 model was flown by most major starlines, including TGA, KSM, Space Ross, and North Void Spacelines. The final version, the 1649 Starliner, redesigned the engine to increase range and to allow it to compete with other long-range spacecraft, like the ADC-27. The advent of the ST class ships led to the downfall of the M class ships in commercial applications. Most of the M class ships were relegated to making runs in backwater systems. The endurance of the M class is apparent by how many of these starships are still in service in the Farstars today.